Here are some more of our Milby alums, back when they were students at Park Place Elementary School. 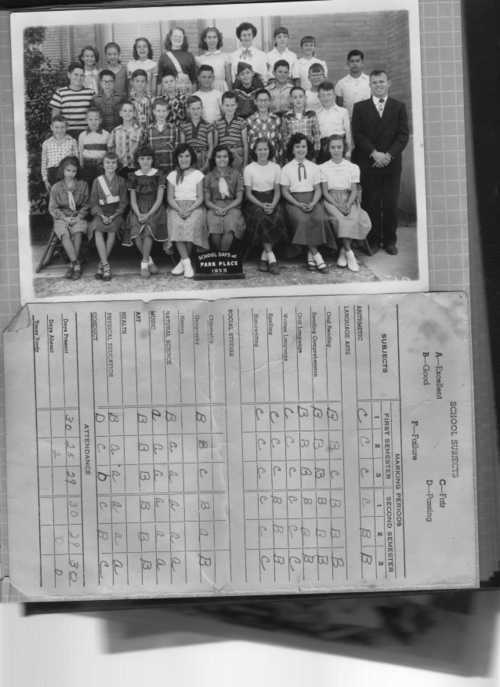 And here's a first for the Milby blog - a report card from "back in the day"!!! How many of you have one of those laying around...that you are willing to publish? Laura McNeil Burns sent the following identifications for this class. Maybe you can fill in some of the missing information.